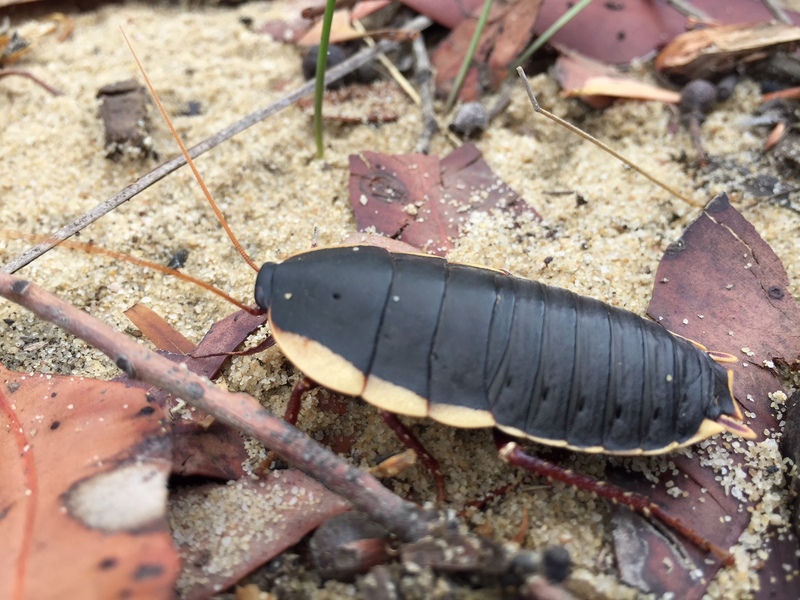 Kids Connecting Nature is excited to have launched a new incursion program for 2019 – Magnificent Minibeasts! Invertebrates are endlessly fascinating and you never know what you might discover when you start looking. I was thrilled to meet this little fellow bumbling along a bush track. Bush cockroach’s plays an important role breaking down the debris in the bush to create soil and nutrients for the plants. Cockroaches have a bad rep as being dirty and spreading disease – but that is due to the introduced species hanging out in our dirty homes. Native cockroaches rarely venture inside and play a vital role in nature as decomposers. They are a tasty meal for loads of insectivorous animals too. This beauty was more than 5cm long. Whoa! Kids Connecting Nature can visit your school or community group and help you unearth the minibeasts that live in your neighbourhood. Check out our programs page for details.